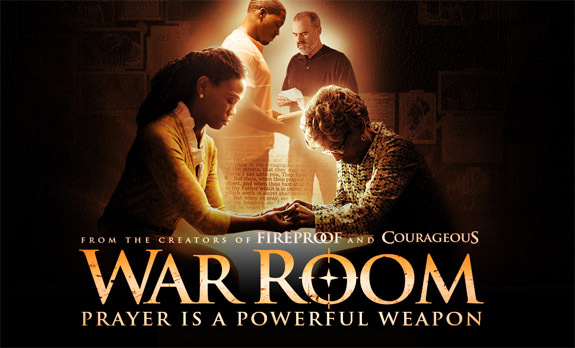 War Room hits the ground running, stating its theme immediately through exposition: life is a heavenly battle greater than any physical one and must be fought with courage. Thus director Alex Kendrick sets his movie up not so as a traditional narrative but as a strategic road map for spiritual warfare with a good story to keep the lessons moving. This is a risky decision but the characters and writing are so well developed that it never appears heavily constructed or overtly didactic. This venture involves an upper-middle class family that is slowly unraveling. The mother Elizabeth Jordan (Priscilla Shirer) is a realtor with a knack for fancy clothes and smelly feet. Her husband Tony Jordan (T.C. Stallings) is a superstar salesman at a pharmaceutical company who loves going to the gym and flirting with secretaries. They bicker constantly, and neither seems to really notice or care about their ten-year-old daughter Danielle (Alena Pitts). By providence, Elizabeth takes on widow Miss Clara (Karen Abercrombi) as a client; the older woman quickly senses Elizabeth’s predicament and suggests creating a “war room”. 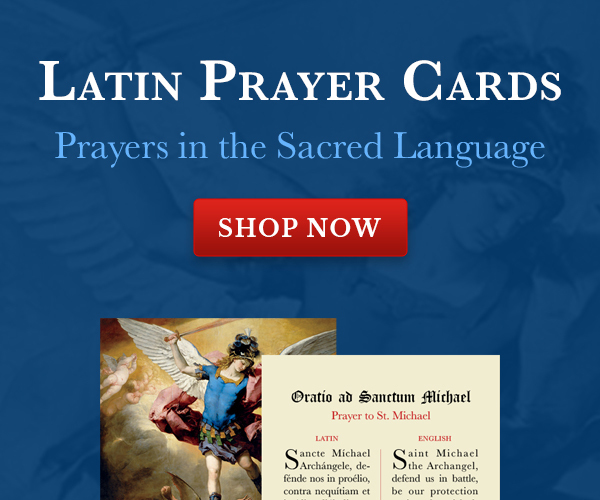 Based on Jesus’ teaching on praying in secret, the idea is to create a private space, like a closet, in which to pray. There one can keep spiritual literature, post Bible verses on the wall, and list special intentions. “Do your fighting in prayer,” Miss Clara instructs. “Your husband is not the enemy. Satan is the enemy.” Elizabeth takes her words to heart, and results soon follow—with unexpected challenges as well. Observant viewers will be pleasantly surprised at the many Catholic qualities in this film. The concept of a war room is a wonderful but hardly new idea, as Catholics (and Eastern Orthodox) have kept prayer corners in their homes for millennia. Miss Clara also puts a huge emphasis on praying for others as a source of strength. This is not simply wishful thinking but affects the relationships of all those involved, a glimpse of the communion of saints. There is a scene in which Elizabeth, alone in her living room, demands by the power of Jesus that Satan depart and leave her family alone—and then opens the door for him to go. Father Merrin would be proud, as would Pope Francis. These ideas come from a 21st century evangelical Protestantism that has left behind the tired, old anti-Catholic bigotry of America’s past and is more willing to see the wisdom and biblical basis of many Catholic practices and beliefs. The best and most touching scenes occur after Elizabeth has committed to praying for her husband rather than pestering him. He goes through a dramatic conversion, and they both ask each other for forgiveness. However, he knows that salvation demands not only contrition but penance. Tony admits to his employer that he has been embezzling drugs for his own profit, risking not only his job but jail time. It is the moment when War Room rises above the usual, shallow televangelism which preaches robust health and growing wealth as rewards for worship. Conversion costs something. When a Christian takes up the mantle of warrior, he accepts that he will be injured in battle. The Jordan family loses much by the end of the film but what they gain is so must better and lasting, they do not seem to mind one bit. Despite these many positives, War Room still suffers at times from the standard faults of its kin. Some of the dialogue is lazy, several scenes are really cheesy, and the climatic double-dutch jump-rope competition is completely rigged. Yet this film takes seriously the reality of spiritual warfare and has some rather solid suggestions on how to fight it. And it shows how deep prayer and authentic conversion are essential features of a transformed, Christ-filled life. What else matters?